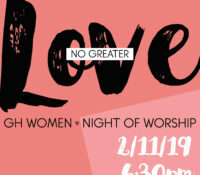 No Greater Love – GH Women Night of Worship | Feb 11 @ 6:30 pm Ladies, come enjoy an evening of worship with us! We will serve coffee and desserts and have meaningful conversation about love and relationships. No matter your relationship status, you are forever loved and pursued by your Creator. There is NO GREATER LOVE than His for you. 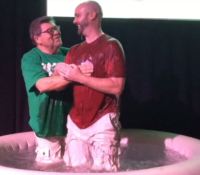 Grace Hills Church is MOVING to BENTONVILLE! Join us for our GRAND OPENING at our new location – 805 SE 22nd St in Bentonville! 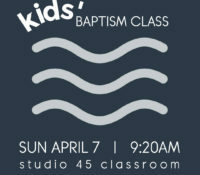 Sunday, March 3 Service Times : 9 & 10:45 AM Your kids will have a great time in their classes and you’ll be warmly welcomed! No matter your story, you are WELCOME and LOVED. 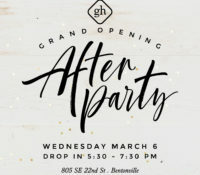 You are invited to our Grand Opening AFTER PARTY! It’s a chance to get a full tour of our new building in Bentonville, meet our staff, and have some pizza. On Wednesday, March 6, drop in anytime between 5:30 – 7:30 pm at our new location: 805 SE 22nd St in Bentonville. 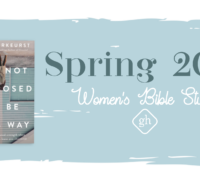 Our first Sunday in our new location is March 3! We hope to see you at both of these exciting events! Everybody needs a wing, man! Men! 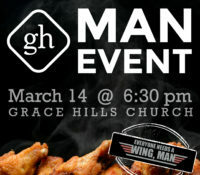 Mark your calendars for Thursday, March 14 for the next Man Event. Chicken Wings, March Madness, Legos, and Brian Wise will all take a part in a great evening together. Start inviting your friends! 6:30 PM at the new church building!!! 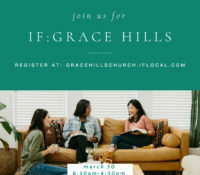 New to Grace Hills? 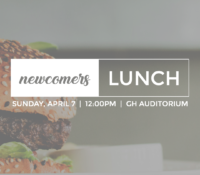 Come hear our story, vision and values, meet our staff, and enjoy a great free lunch! 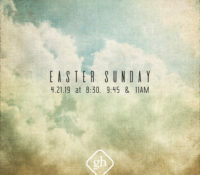 We’ll meet in the auditorium following second service. Register to attend below!